Happy Holidays! If you’re like me, finding great food and nutrition tools is something special. Food and nutrition gifts are great for friends, family members, and for yourself! Here are FIVE ideas to help make your healthy gift giving effortless! (disclaimer: I receive no compensation from any of these products or services). A Great Cookbook. 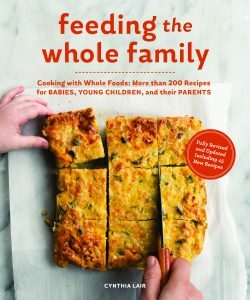 Feeding the Whole Family by Cynthia Lair is my favorite cookbook! I make dishes for myself, my family, even as gifts for clients. Recently redone, it is full of great recipes, gorgeous pictures, and useful information to support your healthy eating goals. You can purchase a copy on Amazon. A Great Meditation App. 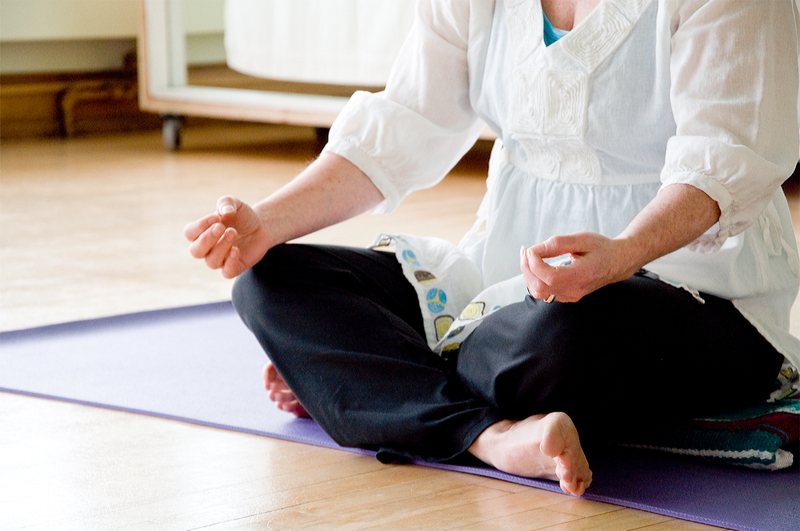 Mindfulness practices help with weight loss, and promote weight management. This is because stress releases glucose into our bloodstream, making cravings for sugar and “comfort” foods irresistible. That is why all of my clients have a stress management plan along with a food plan. My favorite app: Headspace. They call it “a gym membership for your mind.” Oh, yes, it is! Again, I use it myself, recommend it to my clients, and share it with my students at Arizona State University. http://headspace.com. Want some free guided practices? Here you go – password is mindful. Have fun! A Great Yoga Training Opportunity. Yes, it’s out of town (for Arizonans) and yes, it’s winter, but I can’t think of a better treat than a workshop in Seattle at my home yoga studio, Taj Yoga. Under the direction of the amazing Theresa Elliott, who trained teachers (including myself) for over fifteen years, before it became cool to be a yoga teacher. Theresa is offering a special four day workshop for yoga teachers and serious students on how to access the Parasympathetic nervous system through “slow motion vinyasa, wide-brain stationary balance poses, and seated kinetic meditation.” So cool! I’ll be there, and I’m gifting the workshop to my son, Melvin. Come join us – late January in Seattle? Not to be missed! Check out this video of a Yoga Dance performance, under Theresa’s direction which I promise will knock your socks off! You’re welcome!! A Great Kitchen Gadget. So all my clients love Zoodles – those zucchini noodles that you can eat a pile of and not consume more than 20 calories. I’m not convinced, since I’d rather have no pasta than substitute pasta. But hey, if you can’t beat ’em, join ’em! This spiralizer kit is on my list for Santa. I think you’ll like it, too! A Great Small, Safe, Yoga Class. For the bendy and not so bendy alike, I offer a small, safe, therapeutic yoga class on Saturday mornings from 9AM-10:15AM. We work with the nervous system in ways that promote relaxation and ease. Perfect for those with no or limited yoga experience, injuries, or trauma histories. Do you know that yoga is medically indicated for Irritable Bowel Syndrome, as well as 100 other medical conditions? Join us! Need a great dietitian? Contact me for a complimentary consultation. With nearly 30 years experience helping people of all ages lose weight, improve medical conditions, and reduce stress, I’m looking forward to working with you. It matters to me that you feel better. And, Happy New Year 2017!! What purpose does your disordered eating serve? counting calories obsessively, counting fat grams, avoiding entire categories of food (dreaded “gluten”, “carbs”, or “sugar” are three examples), overeating past the point of satisfaction, throwing up, compensatory behaviors like laxatives or exercising to extreme – all of these patterns are your relationship to food. And your relationship, like any other relationship, serves a purpose in your life. What would you be doing with your life if you weren’t spending all of your time counting calories? Hating yourself? Wishing you were something – anything other than you think you are? How much time are you spending each day with thoughts about food, feeding, body size & weight? Most importantly, what would you be thinking and feeling if your mind wasn’t occupied with thoughts about food and your body? [Read more…] about What purpose does your disordered eating serve? As Lisa Schmidt Counseling and the Mindful Nutritionist settle in for the holiday season, I use this time of year to turn inwards, reflecting on both my accomplishments of the past year and my hopes for the future. I am grateful to be part of your lives, and for the privilege to spread the message about mindful eating, mindful living and learning how to be home in your own body. I practice mindful awareness and mindful movement to stay grounded during this busy time of the year, where everything around us tries to pull us “outwards” as December brings us to the shortest day of the year, drawing us organically “inwards.” Use this awareness of opposition to serve as a timeless lesson urging us towards our center – grounded and steady as the bustle and commercialism of the holiday season pulls us outwards, and the colder, darker weather moves us inwards. You’ll find your own personal practices of mindful awareness will help you navigate the abundance, energetics, and stimulation of December.